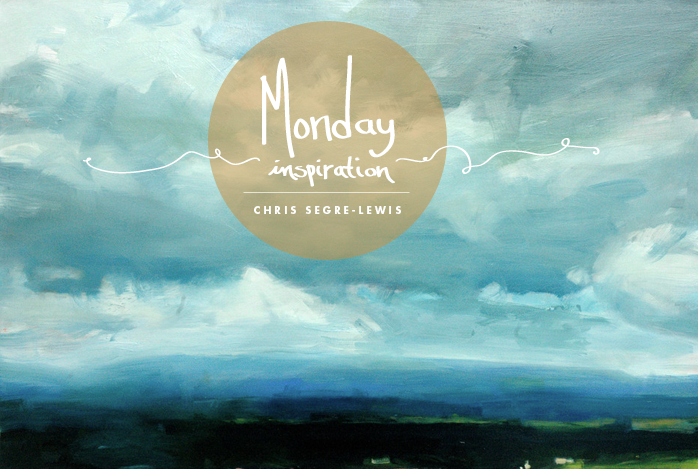 I have been pretty excited about sharing the work of Chris Segre-Lewis. Mike and I were both lucky enough to have Chris as one of our art professors while in college. Mike had him for painting and I had him for color theory. We both really loved our classes with him and would say he was probably one of our favorite professors while in school. We both have admired his work and his theories on landscapes for quiet some time. It is easy to see why when you look through his work on his website. 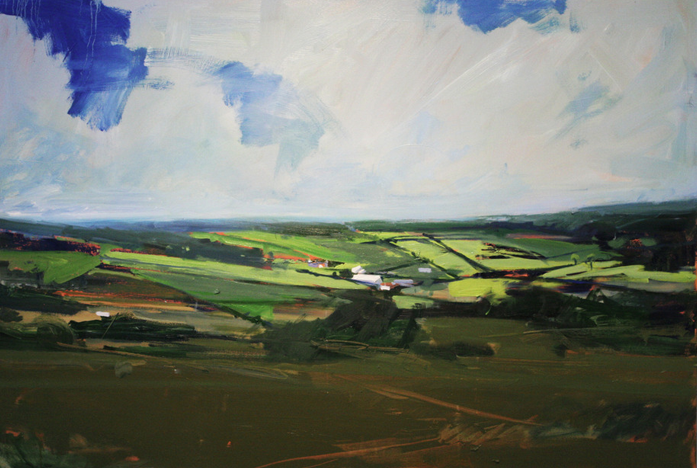 I remember one series he had located at the college that really challenged my thoughts on landscapes. The concept was quite simple, but he painted the same landscape for a certain period of time every day. It was so interesting to see how easily the colors changed from day to day. They were simple, to the point, and did not detail too much other than the color. I loved it and since then have been quiet a Segre-Lewis fan, which is why I had to share his pieces with you all. He is having a show in the Lexington, Kentucky area if you are near. It will be at the Ann Towers Art Gallery and if you keep up with his website I am sure there is bound to be more information. He is an artist to keep your eye on because you will not be disappointed that is for sure.